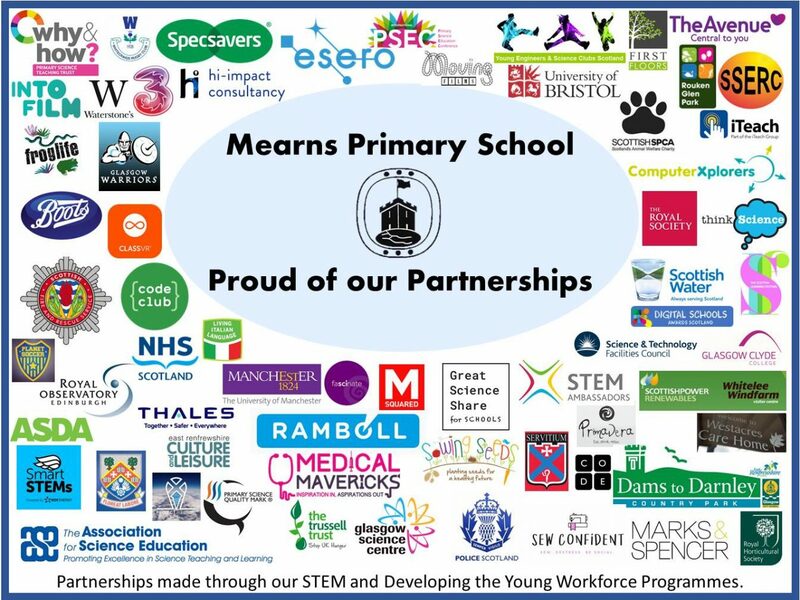 At Mearns Primary, we are extremely proud of the work we have undertaken in relation to STEM (Science, Technology, Engineering and Mathematics). The work has been delivered in line with the goals set out by the Scottish Government as they look to develop skills that will prepare our young people for the world of work when they are older. The work of the STEM team in the school has been recognised by Education Scotland, who have shortlisted Mearns Primary for the STEM Award 2018. To showcase the work in the school, the STEM team created a presentation that can by viewed here. Below you will find a range of documents created by the school that we hope will give you more of an insight into the learning and teaching at Mearns. You can access the document by clicking on the links. Our Science Principles shape the way we teach science in the school. The principles came from the views of pupils and staff in the school and highlight the excellent practice in science teaching at Mearns Primary. 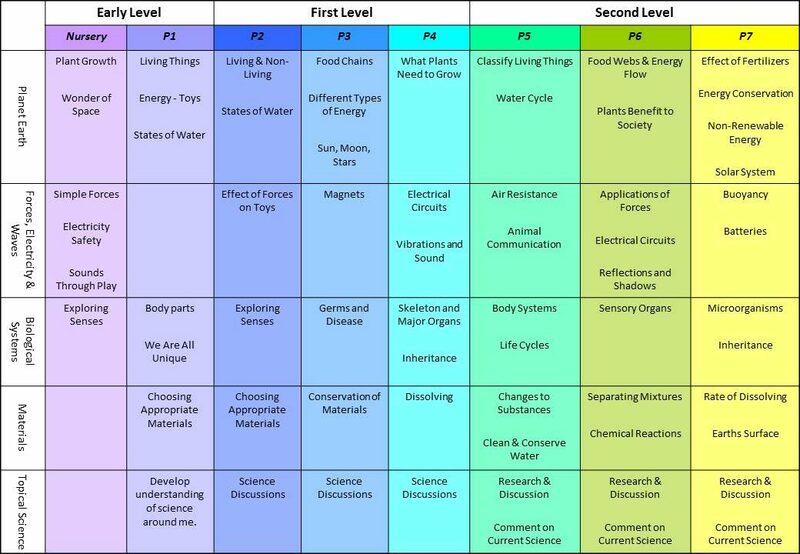 The science curriculum is split into Early, First and Second level and within that we have organised the learning outcomes into a progressive programme where each stage builds on the knowledge, understanding and skills of the previous stages. As pupils move through the school they experience all the outcomes and are introduced to all the big concepts of science. At Mearns Primary we believe that partnerships are essential to give all of our pupils the excellent education they deserve. Through our STEM, Developing the Young Workforce and Mearns Masters programmes we have linked with a wide variety of organisations, companies and individuals who have all enhanced the experience of our pupils. We are very grateful to all our partners and the time and expertise they share with us. We hope you have enjoyed the first week of STEM Fortnight. Please see our Twitter feed @Mearns_Primary and school website for information about the activities that classes will experience. Here is this week’s talk topic for you and your families to take part in. There was a real buzz around the school last week as the pupils gathered and shared all of your interesting views and ideas about sustainability. 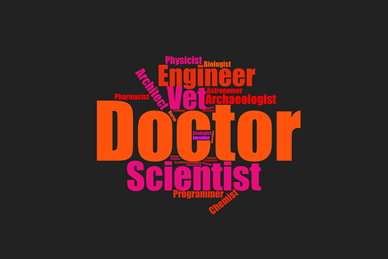 We hope this week you enjoy talking about STEM and STEM Careers. On Wednesday night we’ll be promoting STEM (Science, Technology, Engineering and Maths) and STEM careers through a STEM Showcase event held in the school. We would be delighted if you could join us on Wednesday evening from 6.00pm – 7.30pm. Pupils will demonstrate some exciting science that they have been learning in class and leading coding activities and workshops. Come and have a Virtual Reality headset experience with our new VR headsets, talk to visitors from the local community about their STEM Careers and enjoy a science show with Jon Davies, Think Science. The school has been busy celebrating STEM fortnight and engaging in a range of fantastic activities. Below you will see a range of photos from the day 3&4. Keep checking our Twitter feed for updates and videos. it was a great start to STEM fortnight with pupils across the school engaging in a series of lessons with a STEM focus. Below is just a few of the photos from today, please keep checking back this week to see more images from each class. We are delighted to tell you about an exciting event taking place in Mearns Primary from 9 – 23 March. STEM Fortnight (Science, Technology, Engineering and Maths) is an excellent way of raising the profile of these subjects and promoting them as future careers. This session our STEM Fortnight has a sustainability theme so as part of Learning for Sustainability pupils will explore what ‘sustainability’ means as well as learning more about the Global Goals for Sustainable Development with a particular focus on number 14 – Life Below Water. Pupils will take part in experiences over the fortnight such as a Virtual Reality (VR) headset experience, watching a science show, listening to parents talking about their STEM careers. Each year group will take part in a STEM challenge from designing boats to cross rivers, building bridges, rockets or designing crafts to land on the Moon. We welcome many visitors to the school and nursery such as Dams to Darnley Rangers, SSPCA, Think Science Planetarium, The Science Centre, Computer Xplorers and many more. During the fortnight Primary 4 and Primary 5 will be taking part in The Scottish Engineering Leaders Award where they will interview several engineers and take part in a day challenge to build bridges using K’Nex materials or create a solution to pollution in our seas. Primary 5 pupils will also be competing to take part in a cluster K’Nex tournament. This session Mearns Primary is working towards becoming a Plastic Clever School. Throughout the fortnight pupils will lead learning; P4 – P7 Eco reps and P6 pupils will lead Plastic Clever workshops where all pupils will learn more about single use and reusable plastic as well as plastic pollution in our seas. Some of our Rights Respecting Steering Committee reps as well as Eco reps and our Lab Technicians will visit The Avenue Shopping Centre to talk to shoppers about plastic pollution. On the evening of Wednesday 21 March from 6.00pm – 7.30pm the school will be showcasing teaching and learning in STEM subjects. Come along and try out some investigations in our Exploration Zone, find out more about STEM careers in our Career Zone or learn about plastic pollution in our Discovery Zone. There will also be an opportunity to watch an exciting science show led by Jon Davies, think science. To open the event this year, we are delighted to welcome Heather Reid, OBE who will jointly lead an assembly with the Eco reps and Lab Technicians. Thank you to the PTA who kindly funded some of the exciting activities which will take place during the fortnight. Many of our families like to support Earth Hour and we hope to encourage even more families to get involved in this worldwide event on Saturday, 24 March at 8.30pm. Activities for the fortnight can be viewed below. Please click on the image to enlarge. We would appreciate you taking time to talk to your child about the events they have been involved in during the day. Our talking homework can be completed as a family each week.